The Corinth Canal joins the Gulf of Corinth with the Saronic Gulf in the Aegean Sea while cutting through the narrow strip of Corinth and parting the Peloponnesian peninsula from the Greek mainland. It was constructed between 1881 and 1893 and is considered to be a great technical success. Despite the fact that the Corinth Canal helps us to avoid the 700-kilometer journey around the Peloponnese, it has the capacity for a draught of 7.3 meters and ships of a width of up to 16.5 meters only and hence, it is too narrow for new ocean freighters. Besides this, the Corinth Canal has failed to draw the level of traffic as predicted by its operatives due to navigational difficulties and periodic closures for the restoration of landslides from its steep walls. The canal has the one-way system where ships can only pass one at a time and larger ships have to be pulled by yanks. 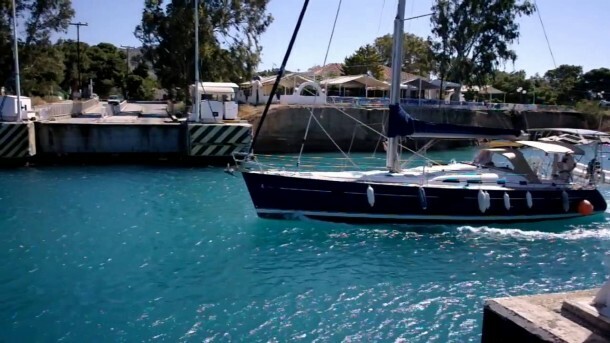 At the present time, the canal is being used by tourists ships with almost 11,000 ships using the Corinth Canal per year. 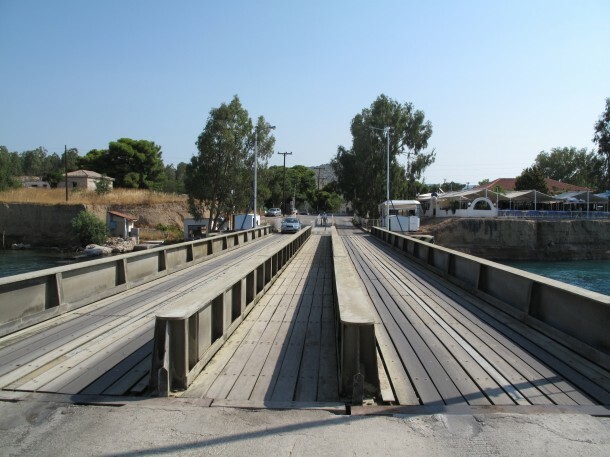 In Isthmia and Corinth, two submersible bridges were built across the Corinth Canal, one at each end in 1988. The bridge deck is lowered 8 meters beneath the water level to allow waterborne traffic to use the waterway. The chief advantage of lowering the bridge and not raising it is that there is no restriction on height of ship traffic since there is no structure above the shipping channel. This becomes very practical for Sail ships and tourist boats. Furthermore, it is considered aesthetically attractive that an above-deck structure is absent. 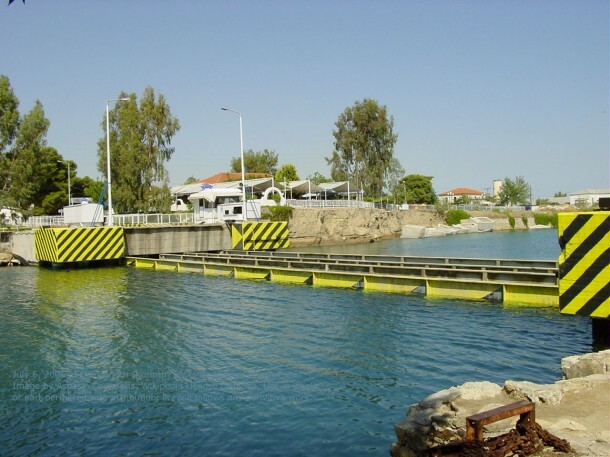 On the other hand, the existence of the structure of underwater bridge restricts the draft of vessels in the waterway. Have you visited this place in person? Tell us your experience in comments!